The Dark Knot started up last year with a goal of being a slightly different tie company. The aim was to produce high quality ties at an affordable price, and in addition to this put the customer in focus and give the little extra to people buying ties from The Dark Knot. These are not uncommon goals in a competitive market but far from all manage to live up to their good intentions. I do think The Dark Knot has succeeded fairly well, however. I got my first The Dark Knot tie a few days ago and, although I've only had the chance to wear it once so far, I can safely say that there is nothing wrong with the quality. 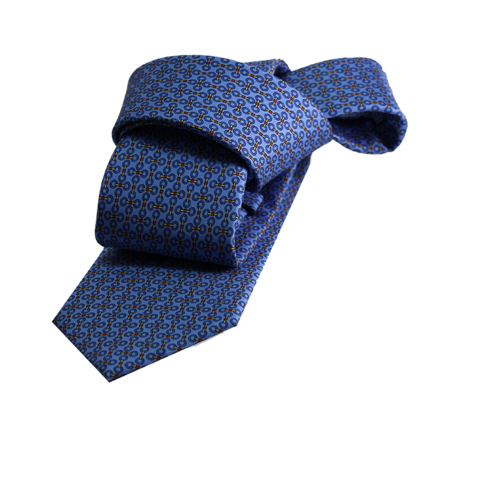 It is a woven silk tie with a two layered interlining which makes it very sturdy, and the tail end of the tie is slightly wider than one often finds which makes it perfect if you like a more accentuated knot. I normally wear a "Shelby Knot" but when I wanted to wear the new tie with a pin collar shirt I found I had to change to a smaller knot, a simple "four in hand". The ties also come in two different lengths, the regular length (58 inches) which would be suitable for most people, but if you are of a size requiring an extra long tie, there is a 63 inch option. At US$45 a piece, these ties are very good value. My first tie from The Dark Knot. Ashford Abstract-Burgundy. The designs span the standard range from abstract patterns to plaid and stripes, but also include some animal prints. All in all it's a nice collection which can be used for almost any occasion but, animal prints aside, the designs are rather conservative and if you're after something extravagant you should possibly look elsewhere. I must admit I'm not one who wears animal motif ties very often, hardly ever, but The Dark Knot has managed to design an animal print tie I actually would like. 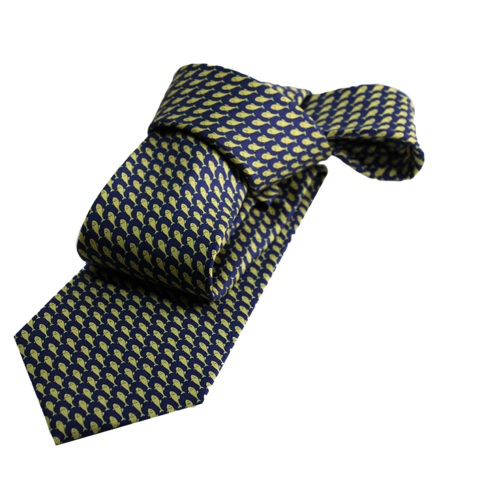 The navy/yellow Watermill Fish tie is very nice and I think I might get it in not too long. I mentioned earlier that The Dark Knot wanted to give their customers the little extra and they do. Firstly, the tie comes in very nice packaging. This is not very important but I like it when things come nicely presented as seen in the photo below. The ties come very well presented. Another thing that comes included with the tie is a "label loop" which will keep the tie in place without the need for a tie clip or pin. 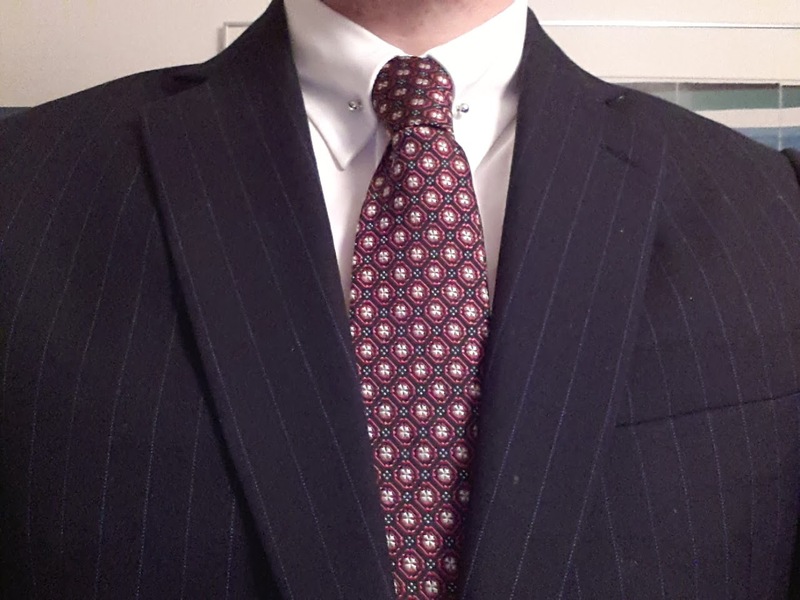 A "labe loop" is included with each tie. One last thing The Dark Knot offer their customers is advice on what to wear the different ties with. 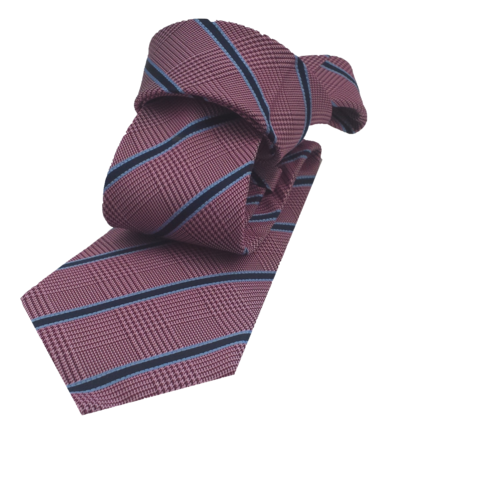 Each tie comes with a description of what colour suits and shirts would work best with the particular tie. This information is also available on the website and can be very helpful if you're uncertain about colour coordination. Suggestions on how to wear the tie. The Dark Knot is a relatively new line of ties which I would have no problems recommending. I am very pleased with my first tie from The Dark Knot and I like that they try to do small things to make the customer experience better than average. Did I mention that the standard world wide shipping option is free?